Mantra and Kirtana are the simplest, most direct devices for elevating the mind. They are mystic syllables which. When repeated or sung. Go right to the unconscious, to the heart of your being, radically changing the pattern of your thinking and feeling. 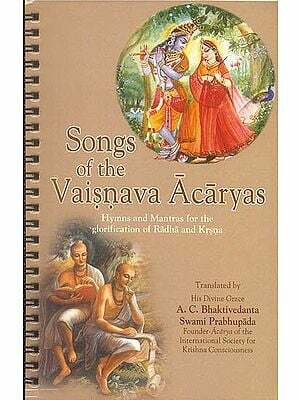 This book lists over 50 important Mantras and Kirtanas. Along with their literal and mystic meanings. It lends insight into the choice of your own Mantra. Initiation, the Mala (prayer beads), Japa Yoga (the method of repeating Mantra) and the scientific theory behind this profound practice. In addition are included numerous illustrations and Yantras (mystic diagrams) for meditation. Ask about the accompanying one hour cassette tape with instruction. Theory and actual recitation of the Mantras and Kirtanas them selves. Swami Jyotir Maya nanda is well recognized as the foremost proponent of Integral Yoga a way of life and thought that synthesizes the various aspects of the ancient Yoga tradition into a comprehensive plan of personality integration. 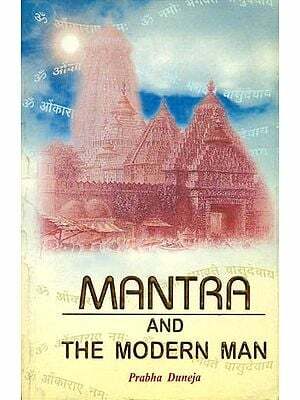 This book was first printed in USA in 1975 to acquaint western devotees with Hindu gods and goddess. It was extremely popular among seekers of truth. When it came before Indian readers they also found it very useful. Swami Jyotirmayananda an author of 70 books on Yoga and Spirituality has brought out mysticism of the science of Mantras is a simple and profound style. 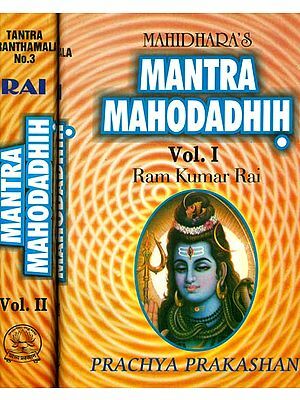 This book also gives insight into Yantra and Tantra. Readers would find this book useful in their onward journey to Enlightenment. 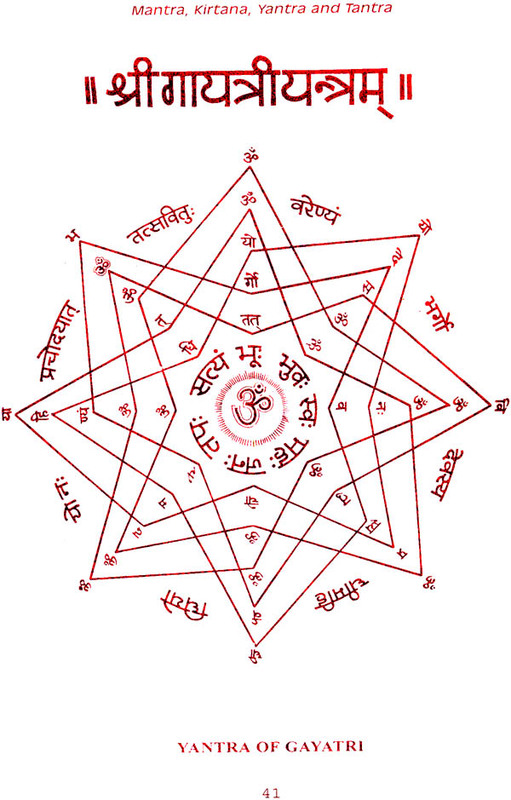 Mantra refer s to a Divine Name or a spiritual, mystic formula which is repeated with devotion and understanding for attaining material prosperity, health and spiritual illumination. Japa is the repetition of a Mantra orally or mentally. Mala is a rosary of 108 beads which aids the repetition of Mantra. Mantra may consist of a brief prayer, the name of an aspect of the Divinity, or a collection of Sanskrit root letters (Bija Aksharas). The repetition of Mantra bestows Bhoga (material attainment) as well as Moksha (liberation). 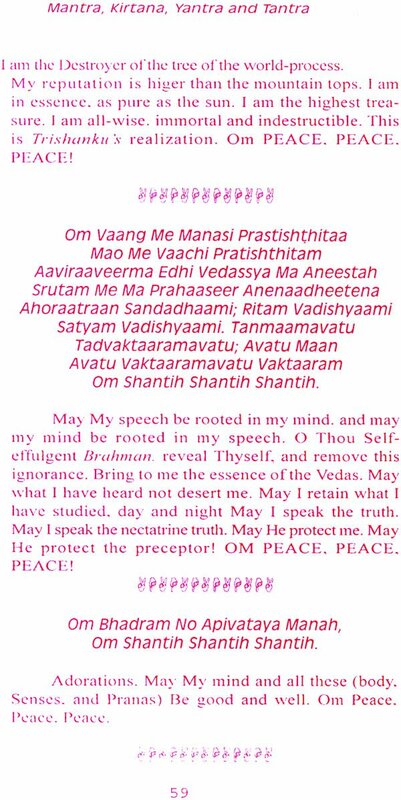 When a Mantra is sung or chanted. Whether by oneself or in a group of devoted aspirants, it is termed as Kirtana – the glorification of God. Prayers or symbolic stories of God may also be sung in a Kirtana. The singing and chanting of Kirtana creates an elevated mental condition for practicing meditation or entering into an intense from of spiritual practice. Kirtana is a powerful and unique method of recharging the subconscious with spiritual vibration.